CRYSTAL LAKE, Ill.--(BUSINESS WIRE)--Oct. 25, 2018-- AptarGroup, Inc. (NYSE:ATR), announced today that Shiela Vinczeller was named Chief Human Resources Officer. Shiela will join Aptar on November 1, 2018 and will become a member of Aptar’s Executive Committee. Shiela is a seasoned, senior Human Resources executive with over 25 years of global leadership experience. She brings to Aptar a strong track record of global talent management with deep experience in Diversity and Inclusion and a sharp focus on building effective teams. Prior to joining Aptar, Shiela spent 12 years in Human Resources leadership roles at International Paper, one of the world’s leading producers of fiber-based packaging, pulp and paper. 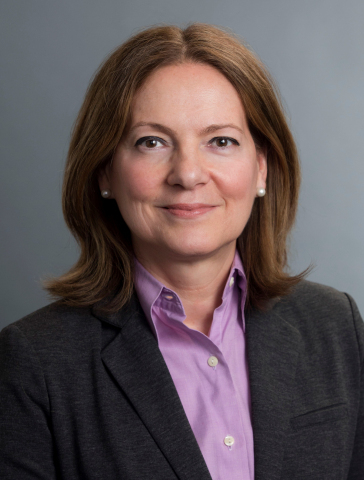 At International Paper, Shiela oversaw many areas including, but not limited to, the company’s global talent management and talent acquisition strategies, employee engagement, workforce planning, leadership development and succession management. Shiela was also responsible for defining and deploying International Paper’s global Diversity and Inclusion programs. Prior to joining International Paper, Shiela held senior Human Resources positions with the Belgian Lhoist Group and prior to that with General Electric’s Lighting division. Shiela holds a Post Graduate Degree in Marketing Communication and a degree in International Business from the Budapest Business School. Shiela serves as the President of the Board of Directors for the Germantown Performing Arts Center in Tennessee and is a member of the Board of Directors for Leadership Memphis.